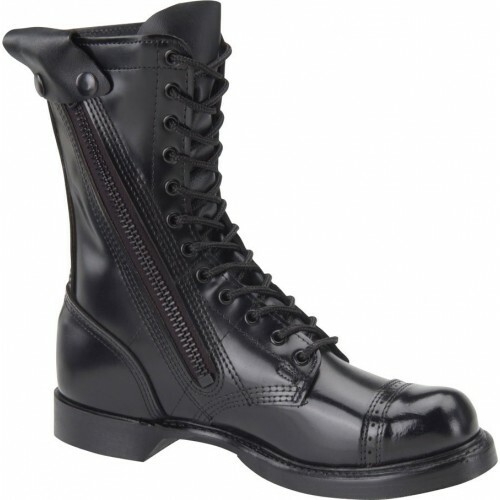 Corcoran's high-shine military boots are the soldier's go-to boot for quality and comfort. These leather boots are a military man(or woman)'s best friend. Designed with your comfort in mind, these 10" jump boots come with a side zipper, allowing you to get in and out with ease, certainly a good feature when your drill sergeant is rushing you out of bed in the morning! Whether you are in a desert, forest, countryside, or in the city, these versatile boots give you the advantage you need over any terrain you may encounter! The 995 Corcoran military boot comes with a steel shank, which will help stabilize your foot and prevent injury during training and those long marches at the base. These unlined boots also come with a PORON insole, which cushions the bed of your foot and decreases the risk of a sore foot in the morning. An oil resistant sole has been added to help keep the grime off your boots. A storm welt construction also means not worrying about them falling apart on you when the going gets rough! All in all, this boot is designed to look sharp and function as a dressy, military boot. Not limited only to soldiers, this classy number is sure to turn heads wherever you are. 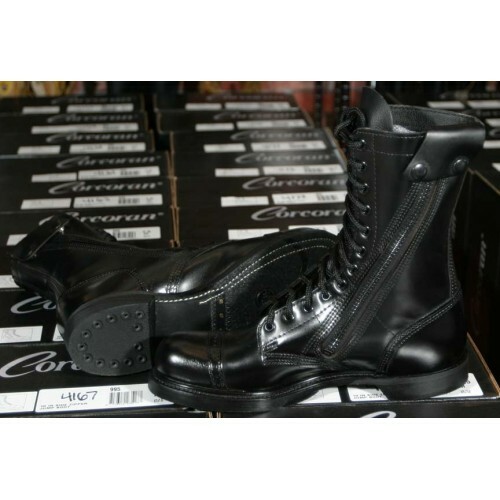 If you are looking for a little more traction for your boots, check out this Corcoran Lug Sole Combat Boot.